On May 4, 1871, the Fort Wayne Kekiongas1 opened the inaugural season of the National Association of Professional Base Ball Players with a 2-0 victory over the Cleveland Forest Citys. By the end of June the Kekiongas had compiled a 5-4 record, with two of the losses being shutouts. One of the shutouts came at the hands of the Boston Red Stockings. The amateur Lowell Base Ball Club of Boston hosted the Kekiongas on Tuesday, June 20; the Fort Wayne nine lost by a score of either 12-2 or 10-2.2 At 3:35 the following afternoon, the Kekiongas faced the Boston Red Stockings before a crowd of about 700 at Boston’s South End Grounds. On the mound for the Red Stockings was 21-year-old right-hander Albert Goodwill Spalding, making his 12th start of the season. The Kekiongas countered with 20-year-old right-hander Bobby T. Mathews, making his 12th start of the season. Harry Wright managed and played center field for the Reds while catcher Bill Lennon managed the Fort Wayne nine. Harry Wright’s brother, George, did not play in this game. M.M. Rogers of the Star Brooklyn Club assumed umpiring responsibilities. The Reds batted first and shortstop Ross Barnes reached first on a fly to “short field.”3 He advanced to third on a passed ball and right fielder Dave Birdsall reached first on an error by third baseman Williams.4 Birdsall stole second and scored along with Barnes on a double by catcher Cal McVey. In making a play on a popup by second baseman Sam Jackson, Kekiongas catcher Bill Lennon collided with pitcher Mathews. Mathews needed time to collect himself, but returned to the mound and completed the game. An out made by first baseman Charlie Gould ended the top of the first. The Kekiongas sent four men to bat in the bottom of the first, and scored no runs. The top of the second began shakily for the Kekiongas as passed balls, dropped flies, and errant throws allowed the Reds to score six runs. The inning started with an error by Pete Donnelly in right field that allowed Harry Schafer to reach first. Schafer advanced to third on a passed ball. Left fielder Fred Cone walked and stole second; Lennon’s poor throw allowed Cone to advance to third and Schafer to score. After Spalding popped up to Williams for the first out, Barnes singled to left, advanced to third on Foran’s inaccurate throw to home plate, and saw Cone score. Donnelly muffed Birdsall’s popup and Barnes scored. McVey hit to third, where Williams made a clean play and good throw to first, but first baseman Charles Bierman dropped the ball. Jackson flied out to Jim Foran for the second out, but Birdsall and McVey scored on another passed ball. Harry Wright then singled to right, advanced to third on a passed ball, and scored on Charlie Gould’s hit to left. Gould stole second but was left there as Schafer flied out to Kelly. Six runs had scored. Despite errors by the Bostons in the bottom of the second, the Fort Wayne team again was unable to score. They did make changes on the field, however, with Williams moving from third base to catcher, Lennon from catcher to shortstop, and Wally Goldsmith from shortstop to third. Each team exhibited solid fielding in innings three through six; only two runs were scored, both by the Reds. In the top of the seventh, the Red Stockings demonstrated good batting and fine baserunning. At one point, with the bases loaded and McVey at bat, Harry Schafer, who was running for Birdsall, was caught in a rundown. He managed to evade a tag until two more runs had scored. Although the Kekiongas had a baserunner reach third in their half of the seventh, they could not score and the Reds now led the contest 14-0. The Red Stockings held a commanding lead by the top of the ninth inning, but their scoring for the day was not over. After left fielder Fred Cone flied out to Bill Kelly in center field, Spalding reached on first baseman Bierman's error. He scored on Barnes's single; Birdsall hit safely and drove in Barnes. McVey singled and drove in Birdsall. Wright and Gould reached base, and after a “heavy hit”6 by Schafer, scored. Before Cone ended the inning with an “easy”7 hit to Mathews, Schafer scored the seventh run of the inning on a passed ball. The score was now 21-0. The Kekiongas closed out the game, which ended two hours after it had begun, with a quick 1-2-3 inning, and, as with each inning prior, scored no runs. 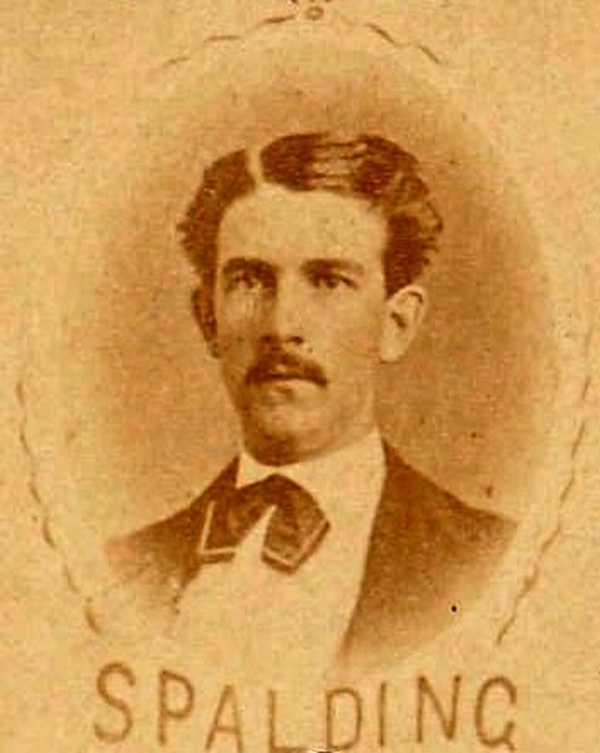 Al Spalding had his sixth win and his only shutout of the 1871 season, a one-hitter. Wilbert, Warren N. Opening Pitch: Professional Baseball’s Inaugural Season, 1871 (Lanham, Maryland: Scarecrow Press, 2008). 1 Before its settlement by French fur traders in the 17th century, the area that encompasses Fort Wayne had the Native American name Kekionga. It was the capital of the Miami nation. “History of Fort Wayne, Indiana.” u-s-history.com/pages/h2273.html. 2 The Boston Daily Advertiser of June 22, 1871, said the score was 12-2; the Boston Journal said it was 10-2. 3 "Base Ball, Visit of the Kekiongas – Their Defeat by the Boston Nine," Boston Daily Advertiser, June 22, 1871. 4 Frank Sellman also played under the name Frank C. Williams. Sellman played third base, as did Williams in this game.